Batman: Return to Arkham has been having a rough time with critics, with the PS4 version currently sitting at a mediocre 73 on Metacritic. Most of them are saying the same thing: it’s a bad port, with uninspired graphical upgrades, and a framerate locked at 30 fps. But is that criticism fair? I mean, what’s a bad port anyway? To look at the recent history of bad ports, we first have to turn to PC gaming. With the mainstream gaming market being generally focused on consoles, especially in the years before Steam became as much of a force as it is now, PC gamers had to contend with a lot of terrible ports. Who can forget the Dark Souls port? With a locked framerate, awful controls and fixed resolution, it was so bad it needed the intervention of a community hacker to patch the game to a playable state. Saints Row 2 on the other hand was absolutely ridiculous: the entire port was coded with the Xbox 360’s 3.2Ghz CPU in mind, which meant that the further away your PC was from that number, the worse the port performed. Even if your machine had a processor with a much higher clockrate than 3.2, Saints Row 2 was stubbornly giving you really crappy performance, as if a constant reminder of Icarus’s folly. How dare you try and reach for the bliss of high resolutions and smooth framerates, you simple mortal! Want some more? How about Resident Evil 4? It feels like that game has gotten a few dozen ports by this point, but its first PC port was the stuff of nightmares. It had the most backward key bindings known to man and when you dared change them, the game would stop telling you about quicktime event key presses, forcing you to guess which key you were supposed to press (like some kind of gaming Nostradamus). Even crazier, it didn’t even support mouse aiming. Guys, you’re not supposed to take cues from early 90’s shooters when designing your aiming controls. You’re allowed to look at more recent titles, or at least I hope you are. Getting ready to punk these fools. Well, What About Return to Arkham? So how does Batman: Return to Arkham rank compare to those titles? Okay. The two games in the collection, Arkham Asylum and Arkham City, are definitely lazy ports. Their framerate is locked at 30 FPS, and while it feels smooth for the most part, some sections do feel like they slow down a bit, which is pretty unacceptable for such old games. Also, the game abuses the age old technique of blurring anything past a certain distance, something that was done profusely during the last gaming generation in order to allow complex open world games to run well on ancient technology. It’s rare to see such aggressive distance blurring nowadays, but it’s really apparent in Return to Arkham. To be fair, I didn’t originally notice it during my time through the games, it’s only when I was looking through my screenshots that I realized that none of the landscape shots I took looked good. At first I thought my photography skills were to blame, but then realized that it was not so. So the games are blurry and locked to 30 FPS. Not very impressive, as you’d figure these old games could be made to run much better than this on modern machines. Do I need glasses? Cause I can’t see anything past Batman. Asylum seems to have gotten the worse treatment of the two, which is surprising as you’d figure that with its mostly enclosed environments and slightly older tech it would be the easiest game to port. But there is some very slight chugging when running in corridors, and the game just doesn’t look as sharp as City does. I don’t think the latter is the port’s fault; it’s more a reflection on how freaking good Arkham City looked in the first place. That game still looks pretty good here, running in glorious 1080p, even with all the blurriness. Its characters are marvelous to look at, their textures are kickass and the game’s environments are expansive and impressive. It truly was a tour de force in 2011, no doubt about that. Gameplay-wise, these titles definitely stand the test of time. They were two of the best games of last generation, after all. Even better, they feel somewhat different from one another at times, giving you a lot of gameplay variety. 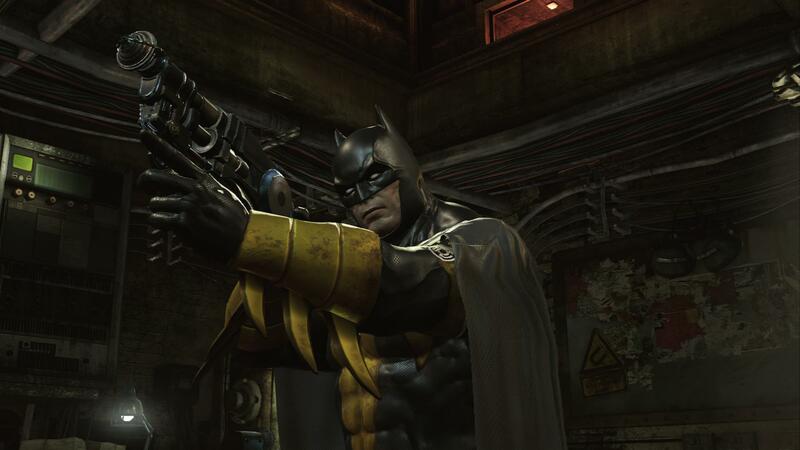 Arkham Asylum was in many ways the best Metroidvania title that we got last generation, maybe an even better Metroid game than Metroid Prime 3. Running around the Asylum, finding locked paths that you can access after finding new tech, then finding upgrades and items scattered about, opening even more paths, etc. This game is old school game design at its finest. But the game looks pretty good up close. Who Knew Humans Could Fly? 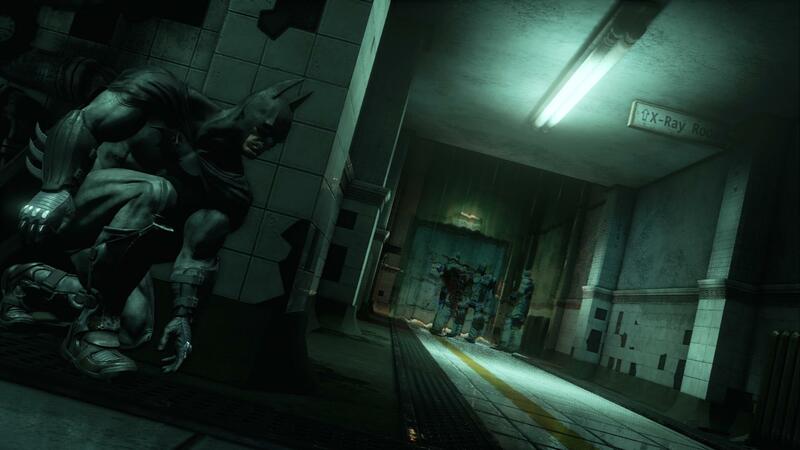 Arkham City, on the other hand, still has a bit of that of that corridor feel, but it has totally opened up its gameworld to give us a glorious city to explore. 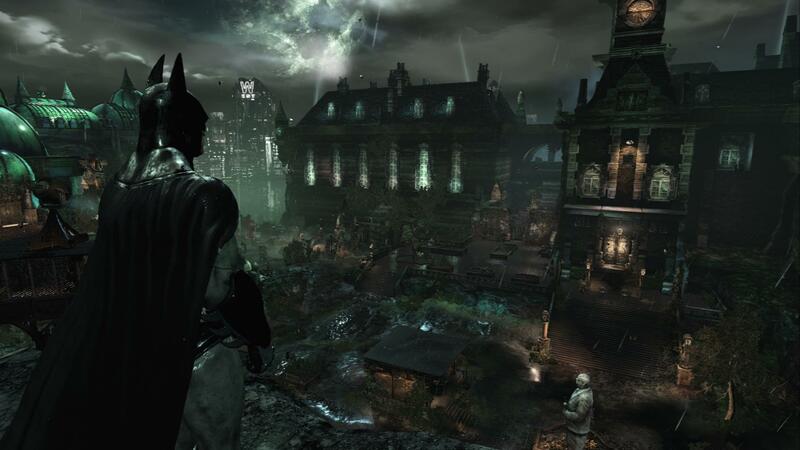 And while open world titles are everywhere now, exploring as Batman feels very different than what we’re used to. Let’s be honest; Batman’s abilities and gadgets defy gravity, while characters in other similar games tend to be more grounded, in an imitation of our physical world and its rules. Batman doesn’t need to do any eagle jumps, or to strain himself to climb up towers, that’s for sure. How Much Would You Pay For Two of the Best? This collection is not quite full priced, as I’m seeing it for $64.99 on Amazon. That’s below the $79.99 most new releases seem to go for. But that’s still pretty expensive. Is it worth it? Only you can really answer that question. These are two of the best games of last generation however, so that’s a lot of value for the money. But if you’ve already played them, it’s hard to recommend this; there’s really nothing new of note. If you haven’t played them, you’re getting a lot of excellent content to experience for the first time. And don’t forget that the games include all the DLC that was released for them. And when the collection’s price drops? Now that’s what we can call good value. In the end, there’s nothing really bad, nor good, about these ports. They’re just giving you the option to play these superb games in glorious 1080p, on your modern machine. And I think that’s worth something, don’t you? DISCLAIMER: This Batman: Return to Arkham review copy was provided by WB Games. The opinions expressed in the article above have not be affected by, dictated or edited in any way by the provider. For more information please see Girls on Games’ Code of Journalistic Ethics. Previous ArticleGoGCast 87 – Montreal International Gaming Summit 2016!